Totally Rad are back with a new plug-in for Lightroom and Camera Raw. Replichrome II: Slide uses multiple discontinued slide films with various processors to create hundreds of different effects. In this full test, we'll see if it can live up to the reputation of its predecessor. Priced at $99, Replichrome II: Slide is available for download from the Totally Rad website. There are a few tick boxes to read through, such as the terms and conditions and giving the nod to having certain aspects installed. Disregarding reading through all those, installation takes less than three minutes. 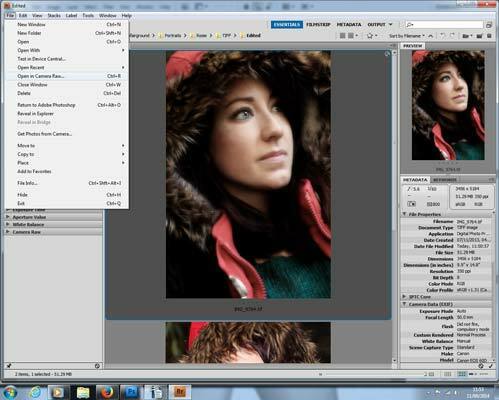 You can use Replichrome II: Slide with either Lightroom or Adobe Camera Raw. We chose Camera Raw for Replichrome II: Slide as we've already tested Replichrome I: Icon in Lightroom. 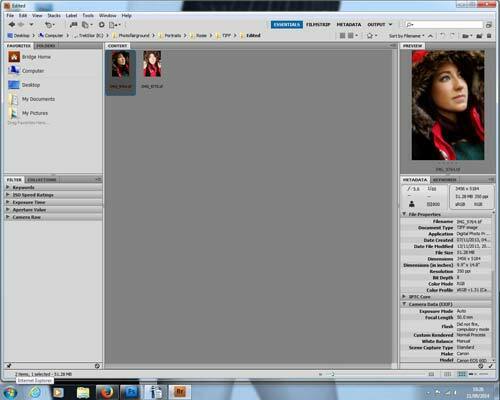 To use Replichrome II: Slide, we had to open Adobe Bridge and choose the image we wanted to adjust. 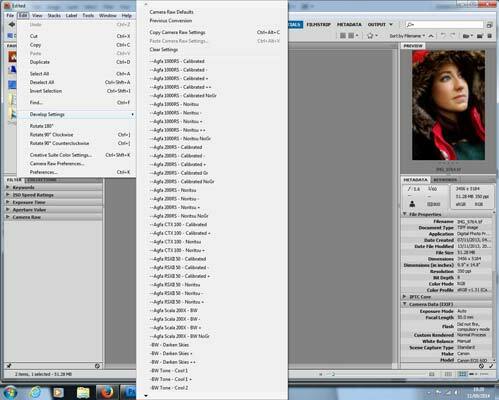 Once you've chosen the image you want to use in Replichrome II: Slide, you can find the list of preset filters in Develop Settings, which is in the Edit tab. Just like Replichrome II: Icon, there are hundreds of filters using various film stock at different speeds and scanned in on different scanners. We noticed on the first Replichrome I: Icon that Ilford film had been omitted for whatever reason (arguably because it's an American company and they may have missed a UK film manufacturer), but also that Agfa wasn't included either. Agfa has been included with Replichrome II: Slide as well as Fujifilm and Kodak slide film. Interestingly, Fuji Frontier scanners have been replaced with Epson scanners, but Noritsu are still present. There are 6 Fuji slide films that have been used, 7 Kodak, 5 Agfa and even a Scotch Chrome 100 film. The variations of these film include scanning in on two different scanners as well as amending the exposure compensation to give different results. There are also a number of presets that you can apply to the pictures such as grain, colour, contrast, sharpening, tones, vignettes and curves. They have optional strengths and each variance is denoted with a + or – symbol. The more of the symbols appear next to each option, the stronger the application. 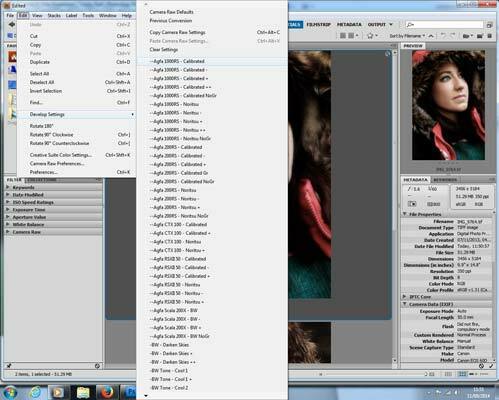 Once you've selected the image you want to add the filter to, go to the preset list and have a look through the list. This can be quite a tedious role until you work out your favourites. You can't use the centre wheel of a mouse, but there are small arrows at the top and bottom for you to click and hold while the lists drags up and down slowly. 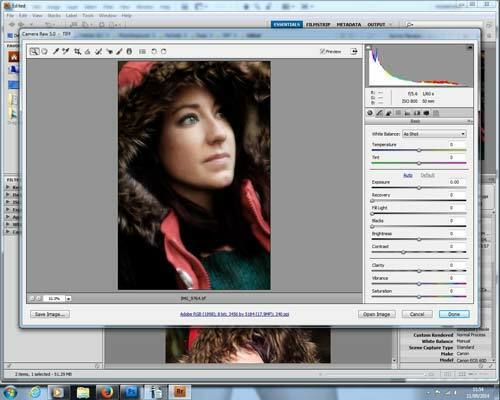 After selecting the filter, open the image in Camera Raw and save the image. Simply pressing open or done won't save any changes made in Bridge.